With this product, you earn 71 loyalty points. 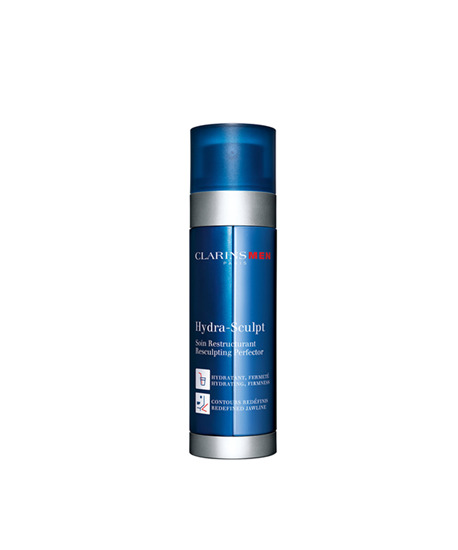 Men's hydrating care to visibly sculpt facial features. Unique dual technology for men, combining some of the most potent plant extracts for their extraordinary efficiency on men’s skin. Both bottles have their own individual pump: the two formulas do not mix until they are applied, it also ensures the right dose is dispensed every time for optimum effect. Dispense 2 to 3 pumps to obtain the required amount of product. Mix the product well in the palm of the hand before applying to the face and neck.